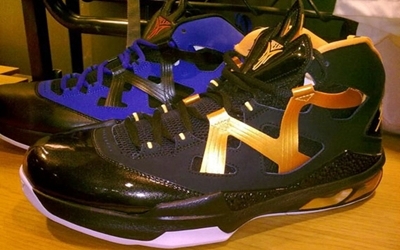 Carmelo Anthony made headlines with his eighth signature shoe with Jordan Brand, the Jordan Melo M8. Soon, Melo is expected to make waves in the sneaker market with the upcoming release of his ninth signature shoe with Jordan Brand, the Jordan Melo M9. Several images of the shoe have already surfaced showing that the new kick features redesigned Flywire technology integration. Another noticeable feature of the Jordan Melo M9 is the M-shaped laced straps on the side panel of the kick. According to several reports, this one will hit the market later this year. Stay tuned for more updates here in Jordans Out!